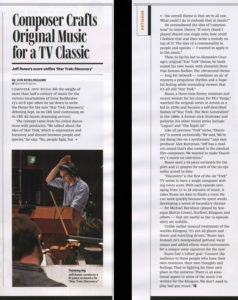 In his first interview about scoring the new Star Trek: Discovery series, composer Jeff Russo talks about how he came up with the theme, the use of full orchestras (now a rarity in weekly TV scoring), and about the idea of a more nuanced approach to scoring the Klingon Empire. 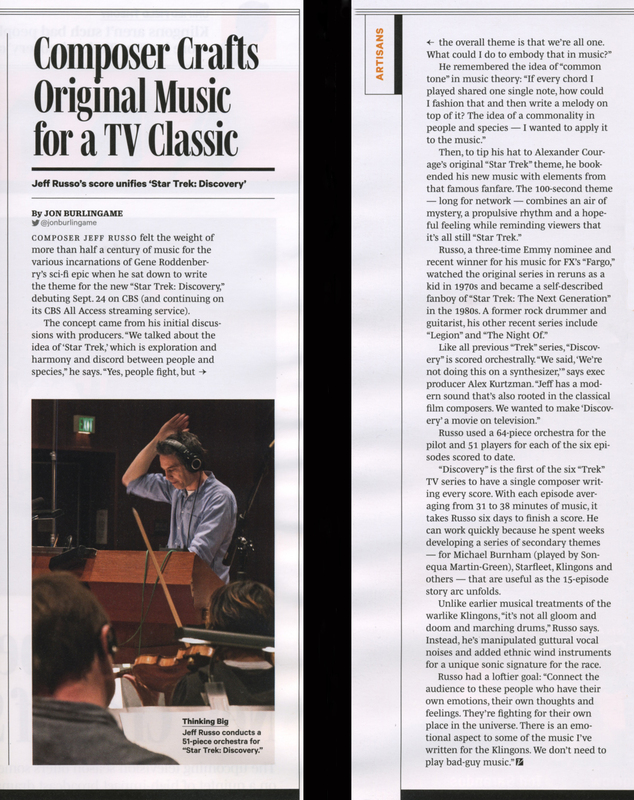 Variety published this today, just a few days before the Sept. 24 debut of the new sci-fi series on CBS All Access. Discovery producer Alex Kurtzman also chimed in on the importance of music in his new series. Russo recently won his first Emmy for Fargo. 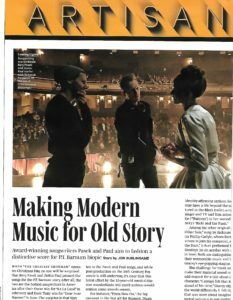 This entry was posted in Composers, Interviews, Television Music and tagged Alex Kurtzman, CBS All Access, Fargo composer, Jeff Russo, Klingon music, Star Trek music, Star Trek: Discovery, Variety on September 20, 2017 by Jon Burlingame. Writer-director-actor-singer Seth MacFarlane loves the orchestra — not just as backing for his albums and live musical appearances, but for his movies and TV shows too. He is a fan of classic movie scores and understands the value of real musicians helping to support the emotional needs of both drama and comedy. So for his new sci-fi series The Orville, debuting Sunday on Fox, he enlisted the services of three of the finest orchestral composers in Hollywood: Bruce Broughton, who scored the pilot and wrote the theme; Joel McNeely and John Debney, who are scoring the individual episodes. 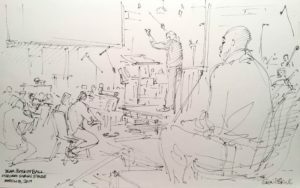 They are using orchestras of 60 to 70, which is much larger than the average TV ensemble these days. In this story for Variety, MacFarlane, Broughton and McNeely talk about the challenge and the fun involved. 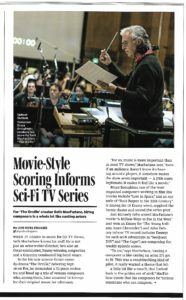 This entry was posted in Composers, Interviews, Television Music and tagged Bruce Broughton, Joel McNeely, John Debney, orchestras in television, Orville on Fox, Seth MacFarlane, The Orville, Variety on September 7, 2017 by Jon Burlingame.